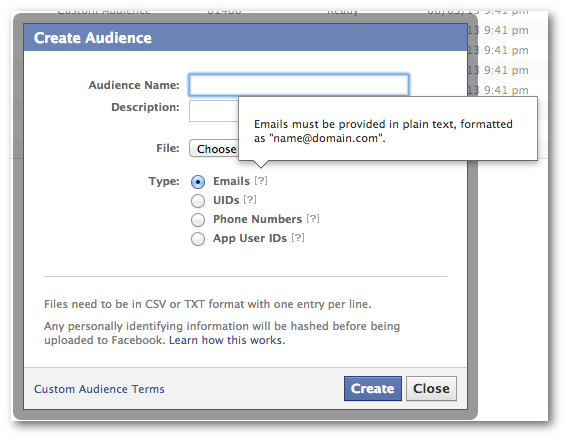 Back in December of 2012, I created a Glossary of Facebook Ad Types and Terms. 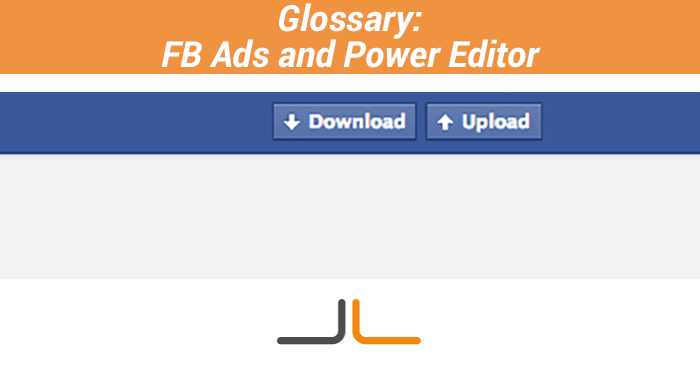 I recently also created a Power Editor and Facebook Ads Glossary that was, until now, exclusive to the Power Editor training course. Below are the terms that will be necessary to understand when running ads on Facebook, but in particular when using Power Editor. Since the original glossary includes links to exclusive content that can only be viewed by members of FB Marketing Advanced University, I have repurposed it for the general public. Ad: The unit that determines what you are advertising (Page, post, app, event, website), where it is advertised (desktop, News Feed, mobile, sidebar), to whom you are advertising (age, gender, location, interests, lists) and the bidding method (CPM, CPC, Optimized CPM). Campaign: The structure that holds your ads together. A way to organize similar ads together. Can hold many ads within it. This is where the overall ad budget (daily or lifetime) and start/end dates of promotion are determined. Connections: The ability to target users based on connections to a Page, app or event within an advertiser’s control. You can, for example, target users who like your Page, don’t like your Page or are friends of users who like your Page. Conversion Tracking: When creating an ad that directs users to an external website (or a Facebook tab that is hosted externally), advertisers can optimize for and track specific types of offsite conversions. This includes Checkouts, Registrations, Leads, Key Page Views, Adds to Cart and Other Website Conversions. 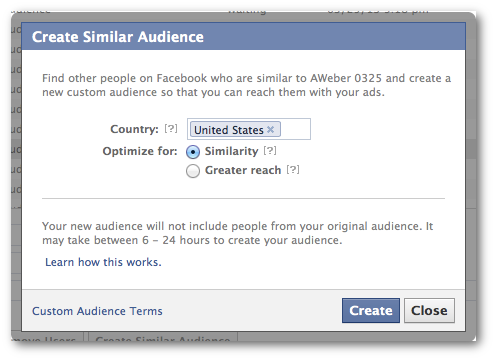 Facebook will then track these conversions to help advertisers measure ROI. CPC: Cost Per Click bidding. When creating an ad, you can manually select this type. An advertiser would then select the maximum amount of money they would spend per click on their ad. This is done in an auction format, so the actual amount spent will be determined by competition, but that amount will not exceed the bid. CPM: Cost Per 1,000 Impressions bidding. When creating an ad, you can manually select this bid type. An advertiser would then select the maximum amount of money they would spend per 1,000 times their ad was shown. This is done in an auction format, so the actual amount spent will be determined by competition, but that amount will not exceed the bid. Custom Audience: The ability to target offline customers (email list, phone number list, Facebook UID list, Facebook App UID list) in Facebook ads, regardless of whether they are Fans. For example, if an email list is uploaded into Power Editor to create a Custom Audience, an advertiser can target those users (or those users matched up to Facebook accounts) with ads. Domain Sponsored Story: Promoting user shares from a domain within your control. Not related to a Facebook Page. 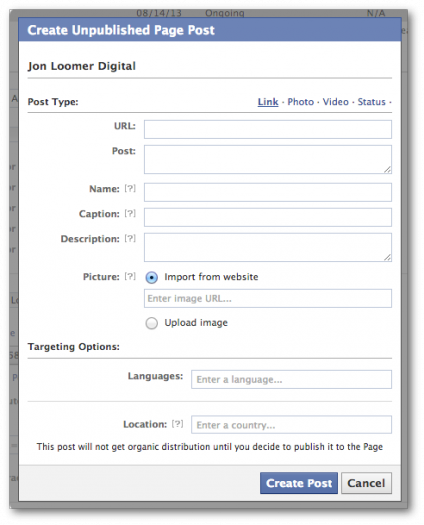 Once a domain is claimed, Facebook will automatically generate Sponsored Stories based on shares from your website. Download: Since it is not dynamic, it is important to click Download prior to beginning work within Power Editor to pull in any changes that occurred across Facebook (posts created, tabs created, campaigns initiated elsewhere, etc.). Label: A way to tag individual ads and campaigns to organize related promotions within Power Editor (by account, Page, promotion, etc.). Lookalike Audience: The ability to create an audience of users similar to the users within a Custom Audience. 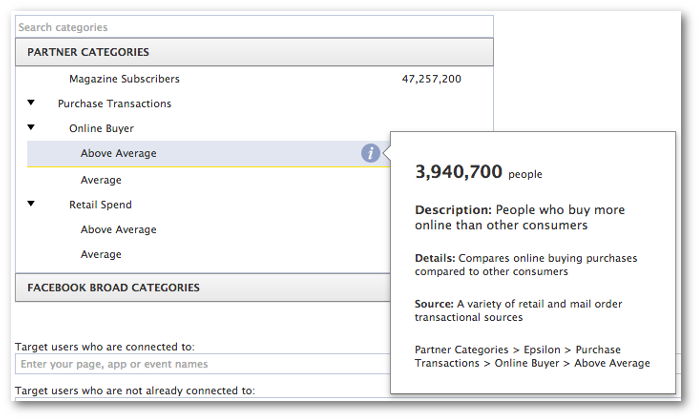 Facebook analyzes the users within an offline customer list to generate another larger list based on the top 1% (Similarity) or 5% (Reach) of Facebook users. Offsite Pixel: Tracking code that is placed on an external success page (“thank you for your purchase”) which alerts Facebook that a user who clicked on a Facebook ad resulted in a conversion. Optimized CPM: This method is selected by default for most ad types. Facebook will optimize your audience, showing it to people within your target group most likely to perform your desired action (Page Like, Post Engagement, etc.). The bidding is performed dynamically, automatically reacting to competition. Price per 1,000 impressions will be more than with CPM, but it tends to ultimately be more efficient if properly optimized. Partner Categories: Facebook partners with three data mining companies (Dalatogix, Epsilon and Acxiom) that provide lifestyle and buying history information. This allows advertisers to target specific “Partner Categories” (salary, career, purchases made, housing, etc.) when running ads. 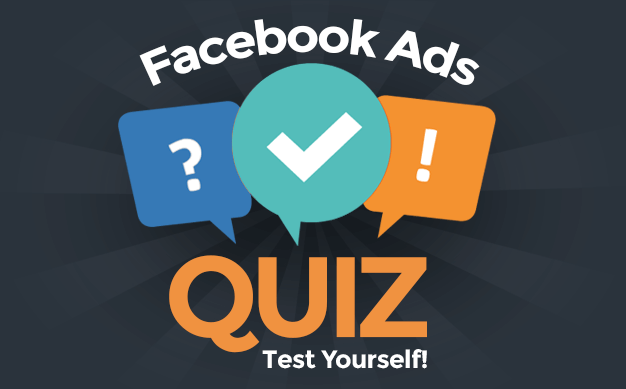 Placement: Determining where a Facebook ad will be displayed (All Facebook, Desktop and Mobile News Feed, Desktop News Feed, Mobile News Feed, All Desktop, Right-Hand Column Only). Power Editor: A free Chrome plugin bulk ad editing tool created by Facebook. Along with the ads API, this is where Facebook first releases all of the new advertising features. Precise Interest: Targeting users based on the Pages they like, apps they use and items pulled from interests, activities, education, job titles and groups to which they belong. All of this information is found within their Timelines. When a hashtag (#) is placed before an interest, advertisers can target users with interests related to a broader topic. For example, when using #Cooking, you can target users with interests related to cooking. But when using Bobby Flay, you’ll target only those who like Bobby Flay or have mentioned his Page in their Timelines. Promoted Post: The act of promoting an organic post created for one’s Facebook Page. Typical method known as “Boost Post” though posts can also be promoted through Power Editor (and this allows for many more options within targeting, placement and bidding). 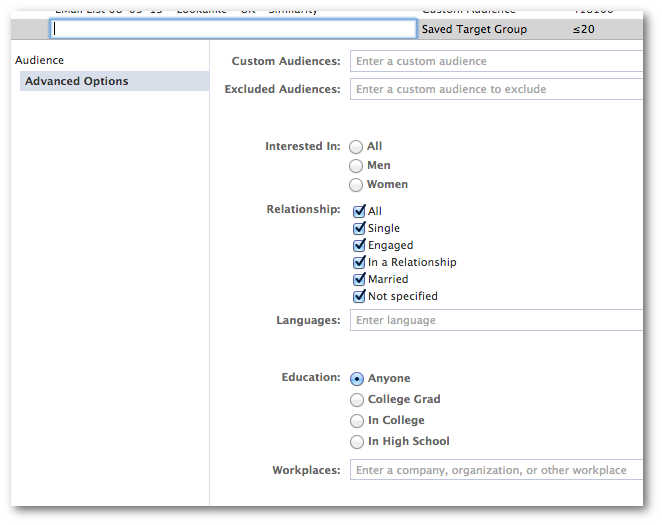 Saved Target Group: Instead of entering demographic and targeting information (those things included in Audience and Advanced Options within the ad creation process), advertisers can create Saved Target Groups to automatically populate this information for a given purpose with the click of a button. Sponsored Story: The act of promoting a story (like, comment, share, check-in, etc.) related to what it is you are promoting (app, event, Page, post, domain). Unpublished Post: Advertisers can create and promote posts that were never published organically to the News Feed or appear in the Page Timeline, appearing only as an ad. This is especially helpful for split testing purposes, testing variations of a post based on copy, imagery or post type (video, photo, link, text update). Upload: Since it is not dynamic, it is important to click Upload to execute any changes made within Power Editor once your change is complete.